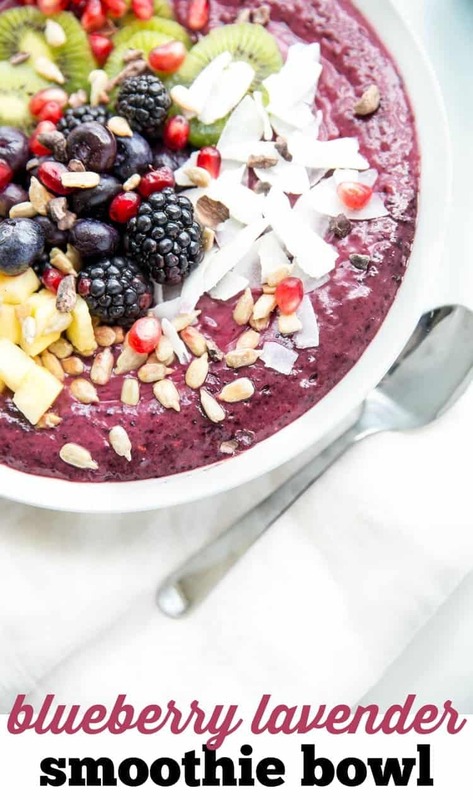 Place all ingredients in a blender, adding just enough coconut water to create your preferred smoothie thickness. Puree until smooth. Enjoy. 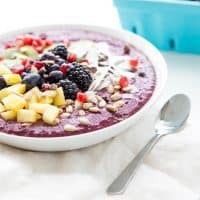 Makes 2 smoothie bowls Though lavender essential oils are considered “general safe for consumption” by the FDA, I do recommend doing a background check to ensure the company that you’re purchasing from offers a certified pure oil. If you’d rather not use lavender oil, feel free to omit. Or make your own lavender syrup by boiling raw honey with lavender buds for 3-5 minutes, then straining out the buds before using. 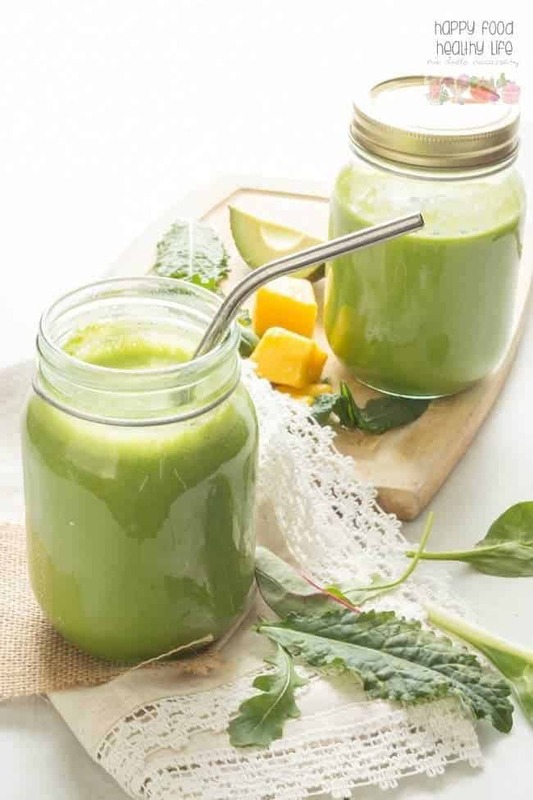 Green Smoothie Cream Machine – The best way to get your greens in every day. With how sweet it tastes, you’d never know how nutritious it is. 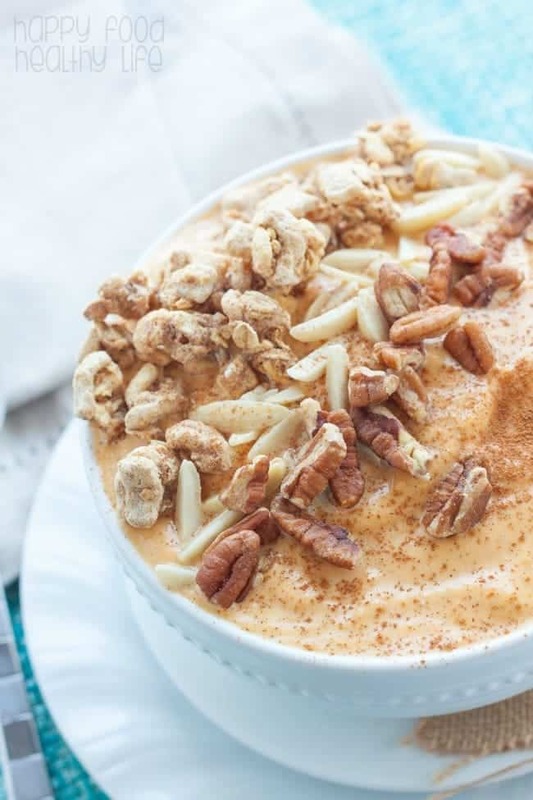 Pumpkin Cinnamon Crunch Smoothie Bowl – The flavors of fall with the refreshing feel of warmer weather. 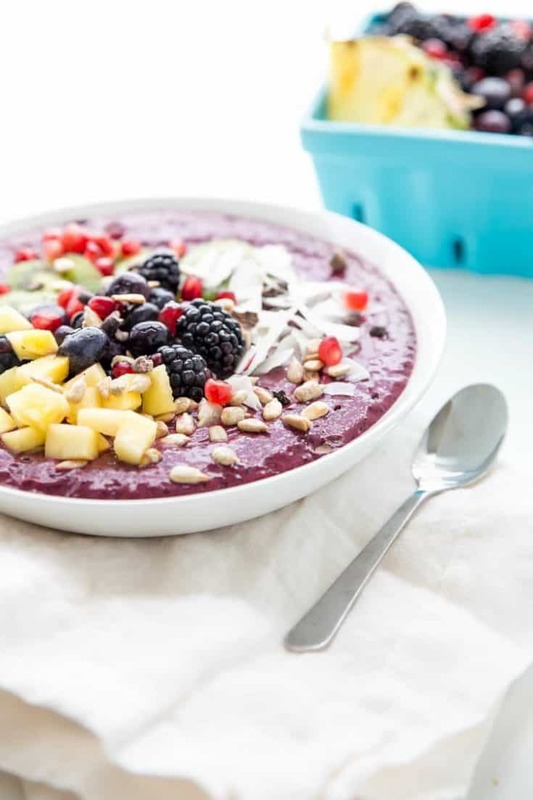 The crunch is the perfect contrast to such a smooth and creamy base. If you liked this recipe, share it to Facebook, Pinterest, StumbleUpon, Yummly, and Twitter with the buttons below.